Today’s making was quick and easy! Yay!! I made this tote bag using an IKEA fabric that was left from another project. It has been sitting in my stash for a few years and was just the right amount I needed for this project with the exception of the back of the handles. I used some leftover red denim for this. The tote measures 42cm high x 40cm wide and had box corners on the bottom. A handy small pocket is included on the inside. 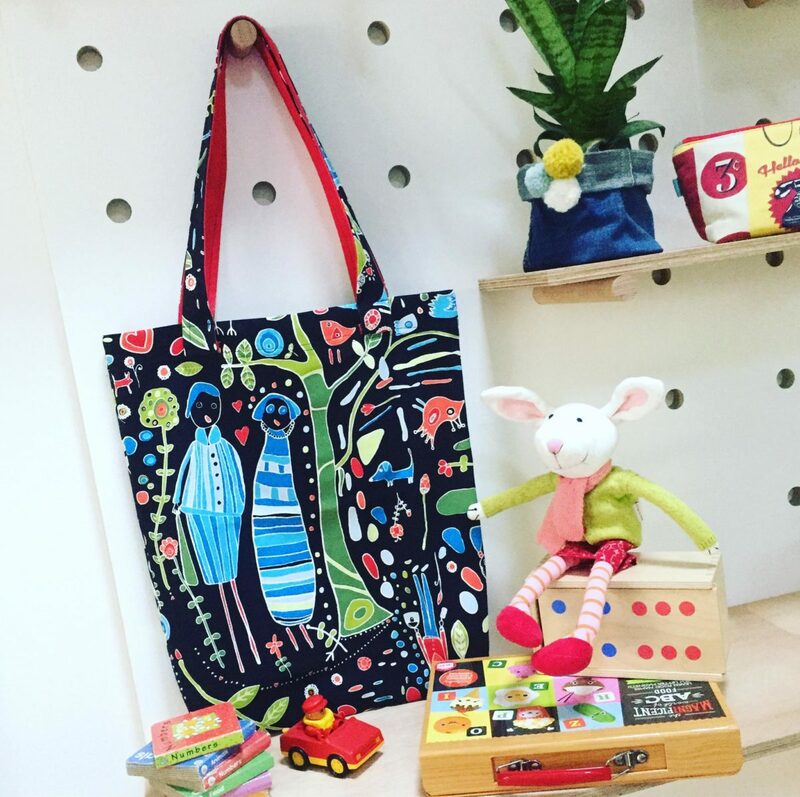 I love that it is bright and happy… perfect for carrying toys when my granddaughter is visiting family and friends.